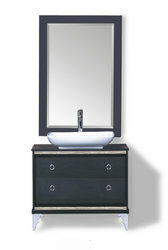 The chic and contemporary Francaise bathroom vanity set offers classical elegance and modern charm. 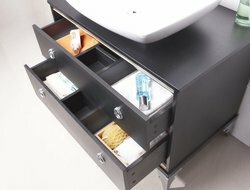 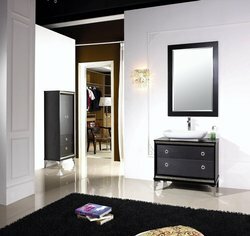 Luxurious modern bathroom vanity design adorns the solid wood cabinet with metal legs, silver cabinet and drawer handles. 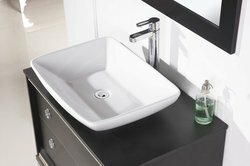 A wide vessel sink tops off the ultra modern styling.